talkhealth > Blog > 2011/11 > ACHOO! And just a few years ago, I heard a not-so-pretty revelation at a women only dinner party. Six ladies all fessed up to the same problem: When they sneezed, sometimes they leaked! So I fessed up too. The first time this sneezing and leaking happened to me, I was shocked. Mortified. Horrified. Kegels. That’s what the websites told me to do. So I did kegels… for a while. But doing kegels gets old, just like ironing handkerchiefs must have gotten old since not many women carry hankies anymore. Then I had a false alarm with pelvic floor prolapse. Yikes! More research informed me that kegels are key to maintaining pelvic floor stability. And now I sneeze with confidence. Any other kegel stories out there? Do fess up. More About Kegels: Many medical websites provide info on kegels. Here’s a how-to guide from the Mayo Clinic. Of course, check with your doctor whenever you have a medical concern. Photo: The handkerchiefs above belonged to my mom and my mother-in-law. 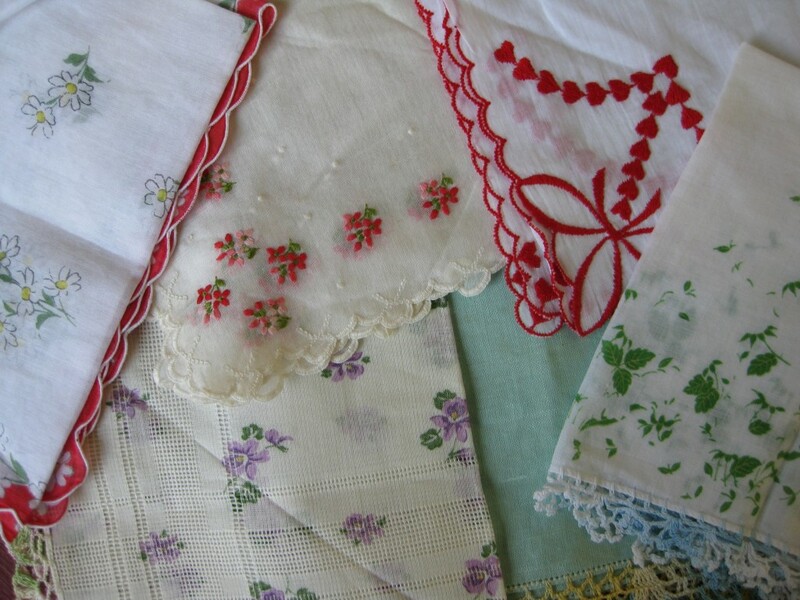 Google “antique” or” vintage handkerchiefs” to see more hankies of yesteryear such as these on the site of Sharon’s Antiques. I absolutely love this blog! It’s really made me giggle – I defy any woman over a certain age, having had children, not to identify with this!! !